Constructing the boat ramp first required dewatering a portion of the lagoon. WRC deployed the 150 foot long by 6 foot diameter aquadam and then removed the water using several 4 inch pumps. 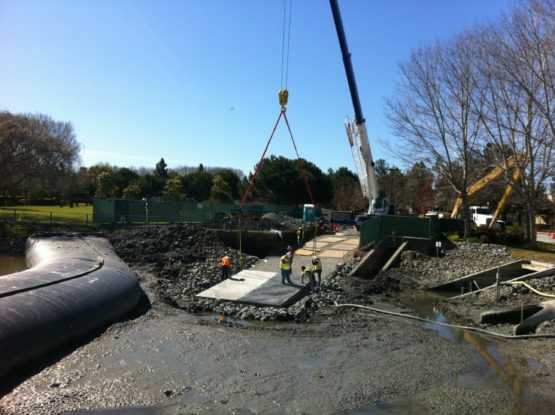 The boat ramp consisted of prefabricated concrete panels placed using a large crane and poured in place section. All work was performed within a quiet residential area and adjacent to a park.